Every girl needs a great hairstyle that takes seconds to do. This is where these three styles step in. Here are a few simple ways to throw your hair up and out of the way when you are running out the door or chasing after little ones. 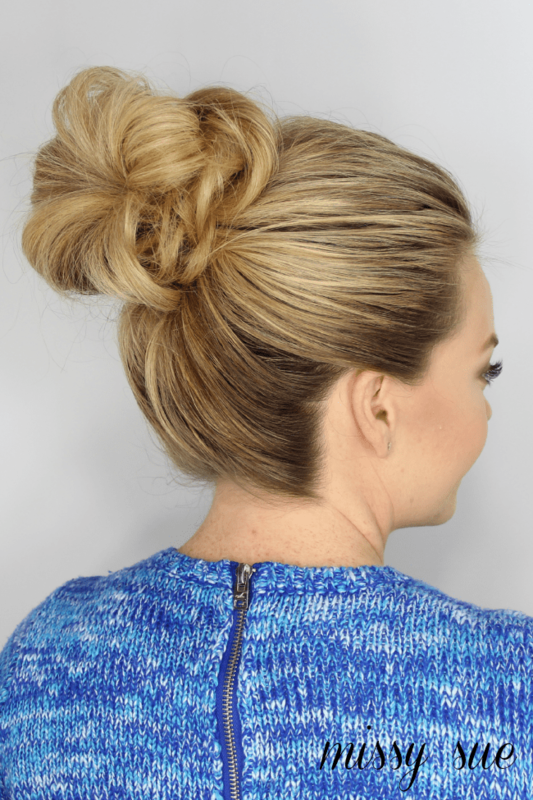 These 3 easy 5 minute hairstyles are great for everyday; our favorite kinds! With all the time you dedicate to your little one, work, or just everyday life, take five minutes to spend a little time on you with these pretty hairstyles! Don’t worry, there’s a video for each one! Step 1 / Brush through the hair to remove any tangles. Then sweep all the hair up into a ponytail slightly higher than the center of the back of the head. Tip: For a smooth style, brush through the hair, then spray it with hairspray before brushing through it again to smooth down any loose hairs. Step 2 / Wrap the ponytail with an elastic. Make sure it is tight against the head by dividing the ponytail into two halves and pulling each in opposite directions. Gently pull the hair at the crown up and forwards, slightly loosening it from the elastic. This will help it even out but also add a hint of volume without needing to back comb the hair first. Step 3 / Divide the ponytail into two halves and curl each half towards each other with a 1 1/4″ curling iron. 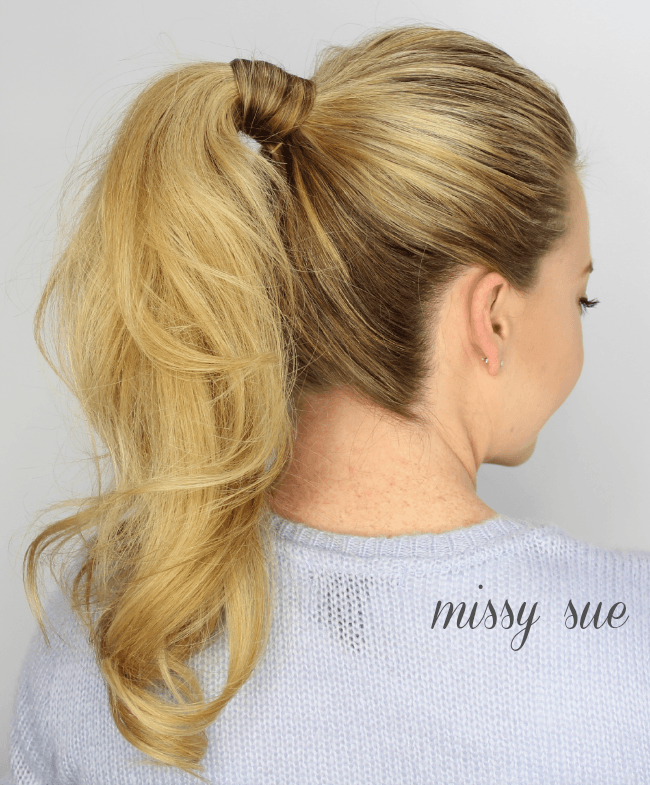 This step is important if you want the ponytail to look polished. Step 4 / Take a small section of hair from underneath the ponytail and wrap it around the elastic band to hide it. Step 5 / Secure the end of the hair underneath the ponytail by sliding a hair pin upwards, into the hair, to hide it. Step 6 / Set the style with a shower of hairspray and you are ready for anything! Step 1 / Brush the hair into a high ponytail. Smooth down the hair by spraying it with hairspray as you brush it. Step 2 / Wrap a hair band over the hair. Then twist the band twisting the hair at the same time, and wrap the band once more over all the hair. Step 3 / Shape the bun so it looks flattering, pulling some pieces looser or tucking in any hair sticking out. Step 4 / Spray the hair at the front with hairspray and smooth down any loose hairs. Step 5 / Then set the rest of the style with a few spritzes of hairspray. Step 1 / Create a deep side part on the left side. Step 2 / Bring all the hair over the left shoulder. Step 3 / Sweep the hair into a low bun that is slightly off center, towards the left. Step 4 / Wrap a hair elastic over the hair. Now twist the hair band, twisting the hair at the same time and wrap it once more over the hair. Step 5 / Pull the bun tight against the head and pin down any random hair sticking out. 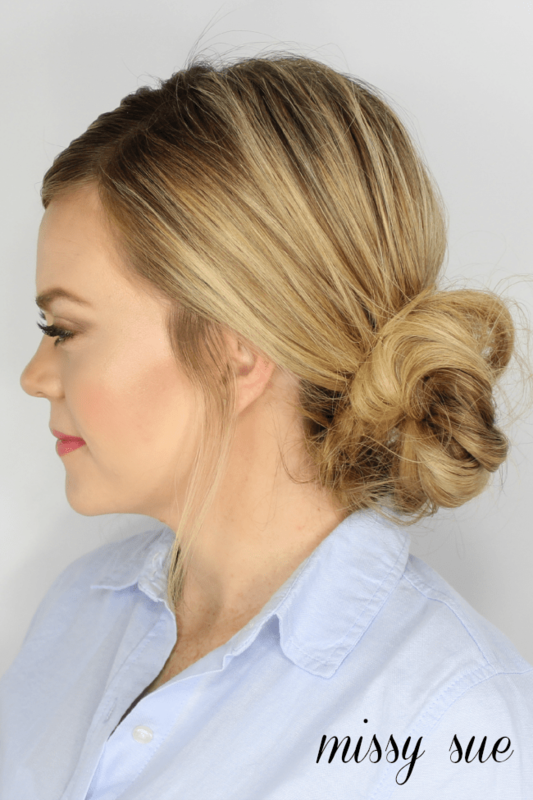 Creating a more flattering shape to the bun. Step 6 / Mist the hair with hairspray, smoothing down any stray hairs, and carefully pulling the hair up at the back to create a hint of volume. I hope you enjoyed this tutorial and give these a try! 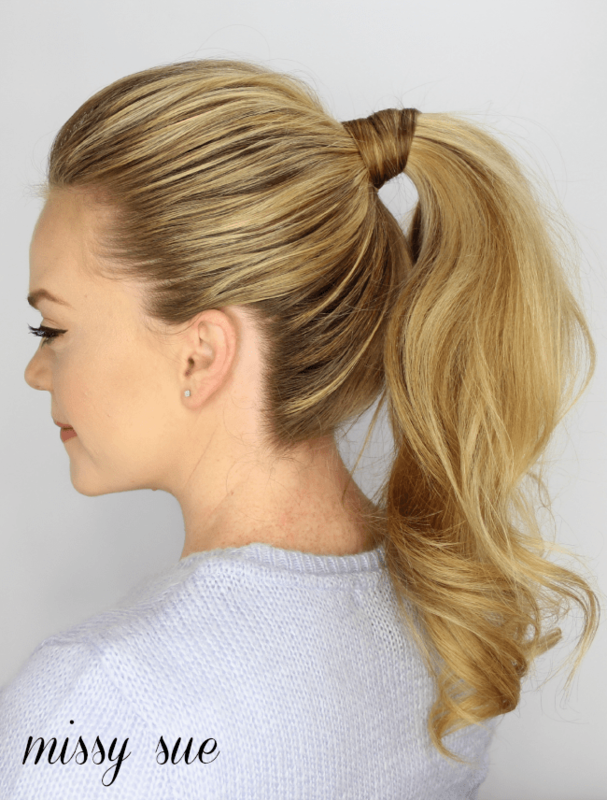 Don’t forget to head over to Positively Oakes for the step-by-step tutorial of the everyday ponytail! Awesome :) These are three hairstyles are so quick and easy for busy mornings for back to school, or even mom can do for little girls. How can you get the kink out of a ponytail, or prevent it?? ?